Having a physical social media counter positioned in your business or store can help boost productivity and offers an easy way to see your subscribers climb. 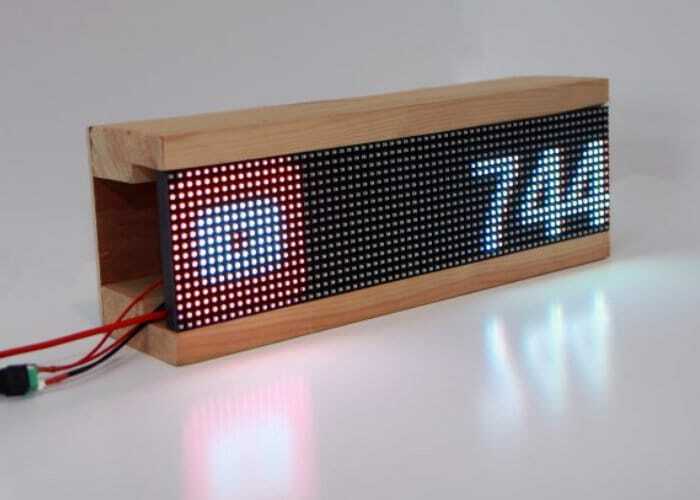 If you’d like to create your very own DIY Raspberry Pi powered desktop social media counter Paul Freeman-Powell has been featured in the HackSpace magazine issue 9. Providing a tutorial on how you can create your very own. For more information and a full tutorial on how to build your very own Raspberry Pi powered physical social media follower jump over to the official Raspberry Pi blog by following the link below. If you enjoy building Pi projects you might be interested in our comprehensive list of Raspberry Pi displays, HATS and small screens.